But I will definitely be buying it. Here's the Nintendo Direct, if anyone hasn't seen it yet. 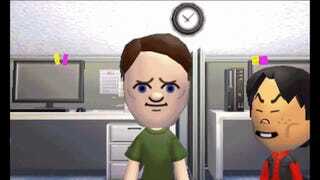 To be honest, I already have picked up my 3DS and began making Miis. 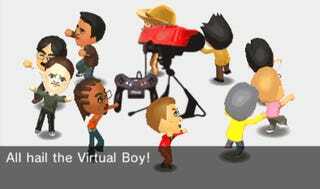 Finally a purpose for me to go into Mii Maker and make random characters, as well as people I know. Maybe Nintendo realized that we need some sort of reason to use the Mii Maker if we weren't that interested in it beyond creating our own personal Miis, but still this game looks like more than a reason to just make Miis to me. I really would wonder what kind of dreams will be in this game, from the few shown in the video I have to say there will most likely be a bunch of ridiculous dreams. Maybe my Mii will have good dreams, or maybe he will plagued with nightmares. Who is to know? I really hope that Nintendo will put in enough content in the game, because it seems like it will be a lot of fun just watching the randomness unfold. It's hard to imagine what happens next. I'm also wondering how much of the game you can control beyond your personality. It looked like you would have to feed your Miis. Is it going to be sort of sim-like in that we can set up certain events to happen, or will it literally just be something we can stare at and just watch random things happen. 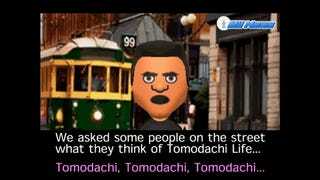 Lastly, I wonder how many Miis will be able to live on the Island. Managing 50 Miis might be a bit difficult, but it would be a blast to be able to actively select what you want to watch. 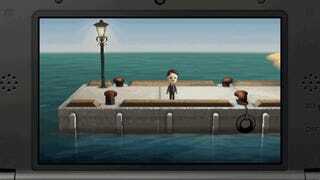 The game will be out June 6, 2014 and I believe I will be downloading it from the Nintendo 3DS e-shop. Yeah, I had no idea this game existed either. Also was this game you were asking for but you didn't even know you wanted it? It feels that way to me. Haha.